We polled education professionals on which products in 29 categories are truly the best. Peer recommendations rule. If they didn't, word of mouth wouldn't have a leg to stand on and Yelp would be a struggling e-mail circle for friends to trade restaurant recommendations. When you set out to streamline operations, improve the instructional experience, assist your students to retain what they're learning and help your institution retain the students they're admitting, it makes sense to look to your peers for advice on the solutions worth trying. So we have too. In this first-ever higher education "gear of the year" guide, Campus Technology has turned to hundreds of education professionals to tell us which products in 29 categories are truly the best. We cover the gamut of technology from 3D printers to wireless access points. In almost every category you'll find the Platinum, Gold and Silver picks to help you short-list your shopping, fuel your decision-making or perhaps start a friendly debate on campus. We kicked off the balloting by asking people one simple, open-ended question: "Among all of the technologies you're currently using, what are your three favorites?" Aside from the wit who responded, "pencil," "paper" and "binder," the top choice was actually the much-derided, ever-evolving learning management system. Blackboard Learn was the No. 1 product listed by name, followed by Moodle and Instructure Canvas in spots two and three, respectively. The second-place tech was lecture capture; Camtasia was the most-referenced brand there, followed by Echo360 and Sonic Foundry Mediasite. Tablets came in as the third-favorite technology, with Apple's iPad muting the competition. Learning management systems: Blackboard Learn was the No. 1 brand and product named. Lecture capture: Camtasia was the leading brand referenced. Tablets: Responses were dominated by the names Apple and iPad. Blackboard Learn came in No. 1 in a wide field of LMSes. This summer at its BbWorld user conference, the company announced "Ultra," a major do-over of its learning system in what it's calling the "New Learning Experience." The No. 2 spot was taken by open source competitor Moodle, which recently announced version 2.0 for the mobile version of its application. Instructure Canvas, still a relative newcomer on the turf, was awarded third place. When picking the best e-portfolio, readers have indicated that the best ones exist within the learning systems they already use. For that reason Blackboard's e-portfolio takes the platinum, followed by Moodle with the gold. However, the silver was claimed by Chalk & Wire, a company that has made a name for itself by melding its e-portfolio with learning assessment functionality. Some education tech just fits into its own unique category. First-place winner Grammarly is a grammar checker that builds in plagiarism detection and word choice suggestions to show students where they can improve their academic writing but without making the changes for them. Runner-up ArcGIS Online from Esri is an intriguing tool that mashes maps, apps and data to help with decision-making. A multitude of schools make it available to researchers, faculty and students to help them gain new insights in the projects they're doing. The third-place winners, DreamBox Learning Math and Learning.com, are better known for catering to K-12. We can only assume their software also plays a role in remediation for students who aren't quite ready for the post-secondary play. A handful of companies dominate in SIS and education data management. The name that surfaced as the top leader among readers was Ellucian, which specializes in higher education. (You'll see that company crop up in a few other categories as well.) The company claims 2,400 institutional customers for its three student information systems, Banner, Colleague and PowerCampus. No. 2, Oracle's PeopleSoft suite of student administration applications, has gained favor among large schools for integrating numerous services and streamlining business processes. Although Blackbaud, in third place, caters to universities of all sizes, its Total Campus Solutions especially appeals to small colleges with enrollment under 2,000 students. The close bond between the business processes handled with ERP and the data maintained in student information systems is evident in this category. It's led, first, by Ellucian with its three solutions (Banner, Colleague and PowerCampus) and, second, by Oracle, both of which also won in that same order in the SIS vote. In the higher ed segment, ERP is used across dozens of offices and functions: admissions and recruiting; student enrollment, billing and retention; financial aid; academic administration; finance and accounting; human resources and other areas of operation. Campus Management, third-place winner, uses Microsoft technology under the hood and has found major pickup especially among for-profit institutions and smaller schools. CRM software promises a lot in the college realm: improved contact management, more personalized communications, more effective fundraising and better relationship management. For this kind of work, readers turn first to Ellucian with its Enterprise CRM; next to Salesforce; and third to Oracle PeopleSoft. All three companies sell applications optimized specifically to give higher education offices a unified and long-term view of their community members — students, alumni and others. This type of application assists with an important overarching goal: to help students succeed in college. Ellucian, which leads, offers three solutions, each with a slightly different spin on the work: Colleague Student Planning focuses on helping the student identify what courses are needed in a given order to continue making progress toward a degree; Degree Works provides similar functionality but with more extensive adviser input; and Pilot provides early risk-detection features to alert specific advisers when a student appears to be going off-track. Second place goes to Starfish, whose retention programs were acquired by Hobsons earlier this year. Campus Labs takes third place with Beacon, a Web-based program that brings together multiple professionals on campus to address student engagement. Faculty members want to know whether their students are paying attention in class, and student response systems provide a simple way to know whether that's happening. i>clicker, grabbing first place, introduced REEF Polling in April 2015, a free app for instructors that can be set up in two minutes, according to the company, and can allow dynamic polling sessions with any presentation application without having to import content first. Students subscribe to a paid version of REEF Polling to use with their smart devices to answer questions and show the instructor whether lessons have stuck or not. Runner-up Turning Technologies sells software and response devices for polling in the classroom (TurningPoint) and remote locations (RemotePoll). Third-place finisher Poll Everywhere's higher ed plan offers an app that's free for up to 40 responses per poll. As MOOCs and the flipped classroom gain fans among faculty, so has the use of lecture recording programs. 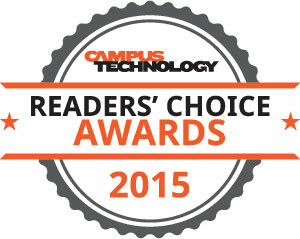 In fact, this category came in second overall as the favorite technology among Campus Technology readers. Two applications tied for first place. Adobe Presenter enables the instructor to capture both the presentation and a webcam view into a single recording. Echo360's Active Learning Platform adds functionality to let students post notes throughout the lecture, ask questions, answer polls and quizzes and participate in online discussions. Second place was a tie as well. Sonic Foundry Mediasite allows lectures to be integrated into the most popular learning management systems. Panopto allows its recording to be scheduled ahead of time so the instructor doesn't have to fuss with technology during the presentation. Because not everything is digital, document cameras still have a ready home in the classroom. They can be used to share images of 2D and 3D objects, like a diagram in a book or a cell slide. The newest models are outfitted with all kinds of digital additions, such as built-in microphones and presentation capture to let instructors record lessons and upload them to YouTube or elsewhere; microscope attachments to get students close to specimens; and remote controls for operation anywhere in the room. First-place finisher Elmo offers a "mini" model that's finding a home in student pods within active classrooms; that line tied with Epson's DC series, which ranges from most basic to high-end with 12x optical zoom. Second-place winner Smart integrates with the software many instructors use with their interactive whiteboards. 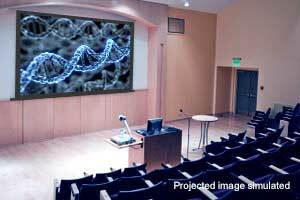 Projectors come in all flavors — interactive, document, short-throw, 3D, large room, ultra-portable. Epson, the ballot leader in this category, builds them all and sells them to schools at a discount. Earlier this year the company introduced a classroom series of "budget-friendly" devices. Sony, which took second place, is attractive for institutions that outfit entire studios with its production gear. Third place saw a tie between Canon and InFocus. Smart Technologies rules the interactive whiteboard market. 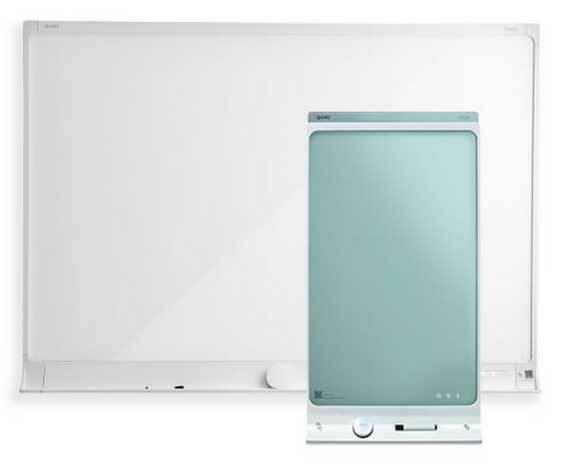 Two of its most recent products are the Smart kapp iQ, which allows students to contribute to online content from their mobile devices; and the Smart kapp, a unique replacement for dry-erase boards that lets the user save and share notes written or drawn on the board. Second-place finisher Epson offers an alternative to whiteboards with its projectors that display interactive images on a screen, wall or table. Sharp's offerings in this space can link with its video wall products. This technology has found a home on campus to bring far-flung participants together for meetings. The top preference for achieving that in higher ed is Polycom, which delivers videoconferencing on any platform. Microsoft Lync, now known as Skype for Business, is the second choice—little surprise since it's included in many iterations of the No. 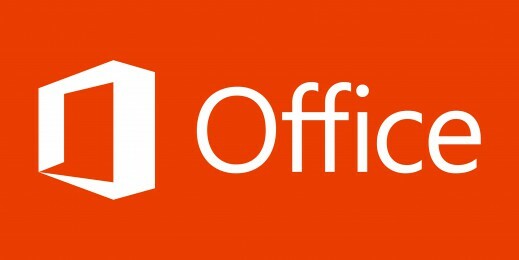 1 productivity application, Office and Office 365. Cisco TelePresence prefers to "immerse" meeting participants into the experience from disparate locations with large, high-definition screens and other trappings to give the feeling that everybody is in the same room. As online learning suffuses the university, institutions are experimenting with the optimal way to bring students together for classes. Citrix GoToMeeting, first across the finish line in this category, accommodates large numbers of users who can participate simultaneously and reduces the cost per call for international cohorts. Blackboard Collaborate allows virtual sessions to be recorded. Google Hangouts, which tied with Blackboard for second place, has the virtue of being free; it can host group text chat for up to 100 people and a video call for up to 10 people. Like performers, instructors must preserve their voices. That can be tough to do in a large lecture hall or active learning classroom where teams of students are moving full throttle on their group projects. 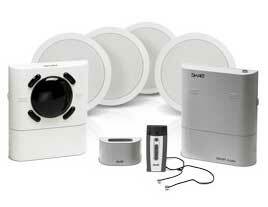 Classroom audio systems use wireless mics to help faculty amplify their voices. Top finisher Smart Audio raises the speaker's voice volume and integrates with the company's software to stream audio through activities running on the interactive whiteboard. Lightspeed, a dedicated audio company, offers several products in the category, including Flexcat, a multiple speaker "pod" system that can be set up to help the teacher monitor small group discussions, and Topcat, a system for amplifying a voice. Califone, tied for second, covers a broad array of audio gear. Captioning of recorded lectures and other videos is important for the sake of accessibility. The winning service, AST's CaptionSync, uses a combination of automation and professional transcribers to create closed captions, transcripts and video search data. Runner-up Telestream's solutions don't handle the captioning so much as the integration of a script with the video. 3Play Media, tied with Telestream in second place, is closer to AST's approach, with a mix of computer recognition and human editing and review. Two-thirds of voters chose Microsoft Office as their preferred productivity suite. 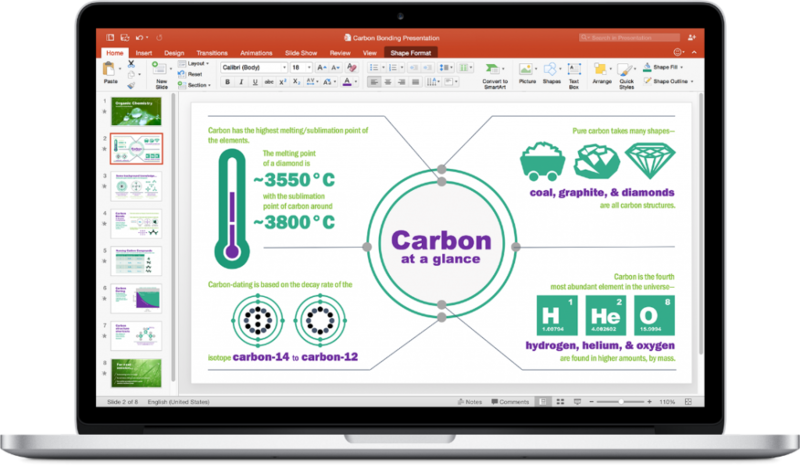 Office 365 has a plan for education that's free or low-cost. Google Apps for Education, another free suite, came in second. Adobe Creative Cloud is a different beast altogether, appealing to designers, artists and photographers who consider Photoshop, not e-mail, the mission-critical application. When users need to do presentations, they often turn to the software many already have close at hand — PowerPoint, the clear winner in this category, and Apple Keynote for Mac users in third place. Others go online and free with programs such as Prezi, which won second place. This is a category where, if the votes are any indication, two companies dominate: Adobe and Apple. The winner, Adobe Creative Cloud, has won educators over to its subscription-based downloadable suite of creative tools available to run on a local computer or a mobile device. Users may be drawn to the company's education licensing. Apple Creativity Apps made a solid showing as well among Mac and iOS fans. Faced with the job of creating content for e-learning, more than four in 10 educators chose Camtasia for screen recording and video editing. 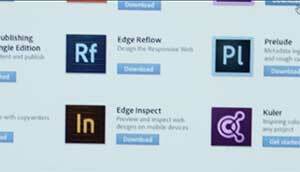 Adobe Creative Cloud, the most expansive of the offerings in this category, can handle any number of creative jobs. Both are quite different from the program that took third place: SmartBuilder provides a drag-and-drop environment with templates for setting up Web pages that can include audio and video, gaming elements, assessments and the ability to branch. 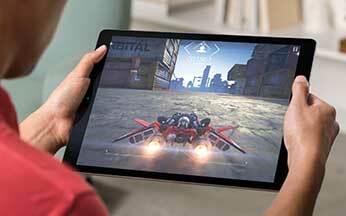 When it comes to tablets, Apple's iPad swipes away the competition. Seven in 10 tablet users would choose these mobile computing devices over any other make or model. The Samsung Galaxy Tab product line, which runs Android and comes in multiple sizes, has found a small following of fans among our voters. Coming in third with an exact tie are three lines: the Google Nexus, powered by Android and manufactured by HTC; the Dell Venue Windows and Android tablets; and the Lenovo Yoga, a Windows and Chrome convertible device that can be either tablet or notebook. 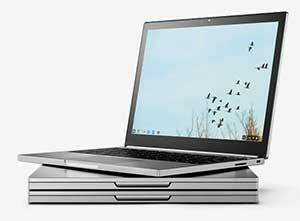 With almost instant power on, ready access to productivity apps, built-in virus protection and simple syncing between Android devices, the Chromebook has found a happy home in education. Although Google was the winner in this category and does sell Chromebooks directly, technically, it doesn't make any of the models currently sold. The company relies on a healthy original equipment manufacturer community — including winners Samsung in second place and Lenovo and Dell in the third spot — to build the hardware, while it focuses on continued development of the Chrome operating system, which runs under their hoods. While Windows tablets may not have gained the kind of pickup among readers seen by other companies in the device space, when institutions go in this direction, they want to buy directly from the source. 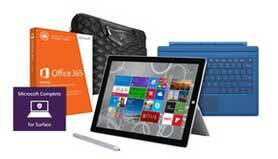 Microsoft's Surface and Surface Pro models led the choices in this category. Lenovo ThinkPad Yoga convertible devices saw enough pickup to land in second place. Tied for third were the Dell Venue alongside Samsung, whose fans among Windows tablet users like its ATIV smart PC line. The idea of the convertible notebook is that it can serve as both a tablet and a laptop, depending on what kind of activity the user is doing — swiping or typing. 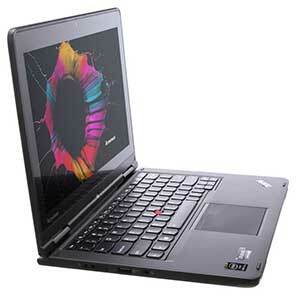 Lenovo is the frontrunner with its ThinkPad Yoga series that runs Windows or Chrome. In second place, Dell's Venue and Inspiron 2-in-1s promise the performance of a laptop with the handiness of a tablet. Finalist HP's latest Spectre, the Pro x360 G1, can run Windows 8.1 or Windows 7, and its EliteBook line has found pickup among institutional users. When asked to specify their favorite education notebook, the brand that stands out among readers is Apple with its MacBook and MacBook Pro offerings. Those were voted best in category by almost 40 percent of respondents. Dell came in second with its multiple Windows and Chromebook families of products. HP was third with its Stream, ProBook and EliteBook lines. Respondents did not necessarily vote in every category; they were encouraged to focus on technologies they were most familiar with. XenDesktop from Citrix gives IT the power to deliver Windows apps on multiple flavors of devices, an important consideration in the bring-your-own environment of a typical college. That capability puts Citrix at the top of the stack. In second place, HP Thin Client solutions, offered through partnerships with AMD, Citrix, VMware and Microsoft, had a slight edge over Dell Wyse virtual desktop infrastructure products, the latter coming in third. This category has seen nonstop buying activity for several years. Cisco won the majority of votes with its access points. Second-place winner Netgear, well known for its consumer-friendly products, has also found a ready home on campus. Aruba Networks, recently acquired by HP, took third place with its gigabit WiFi and other wireless network equipment. 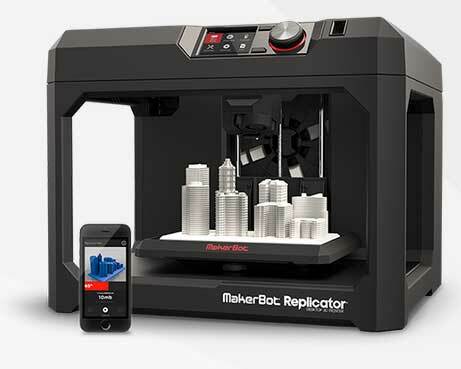 In forward-looking colleges and universities with a maker mentality, one 3D printer — MakerBot — stands above all others. This Stratasys-owned pioneer offered the first hobbyist 3D printer to gain traction in the education market, and it has kept its lead through five generations of machines, no matter how many Kickstarter or Indiegogo upstarts try to knock it off its build platform. A lot of companies have vied to win over institutions to their notification and alerting services. Winner Blackboard, with a solid quarter of the votes, handles essential multimodal emergency notification activities and piles on extras, such as geo-mapping fencing and automated severe weather alerts. Close contender and second-place finisher Campus Alerts from Message Logix offers a comparable list of features, including e-mail message templates for proactive alerts. Rave, which came in third, claims a thousand campuses as customers.